I’m not quite sure how to start this blog other than to say it will be my last for a week or two. Once more I find myself facing spinal surgery on Monday, September 12th, my third surgery in four years. I guess all those years of running up and down hills, on beaches at sunrises and sunsets, in the sun, the rain and the snow, on trails, on mountains, on boardwalks and city streets as well as in foreign countries plus my own genetic makeup caused these spinal maladies. Yet for all the pain I have had and will probably again experience, I will never regret running. My best ever friend, Danny, who left this world 25 years ago, gave me the gift of running, so whenever I would run, it was my way of connecting with him and honoring his memory. I could never give it up. 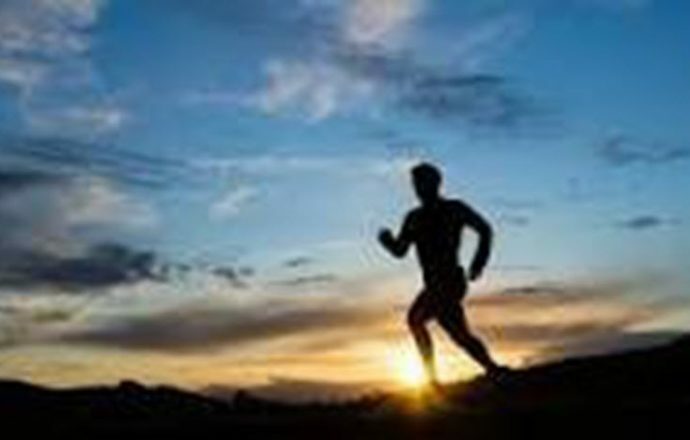 Running gave me energy, hope and a feeling of bliss that I have not found in any other physical exercise activity, (except when I get three strikes in a row!) Running has also given me a sense of discipline, accomplishment and knowing that I was being watched by God, in all his mercy, and able to laugh, cry and look into my soul all at the same time. Will I stop running after this operation? I think I will have to because, after this one, my whole lumbar spine will be fused and I will have no discs left to absorb the pounding. Perhaps I will find biking or an elliptical machine as alternatives. It has to do with letting go. Letting go of what hasn’t worked in a while, even though you keep doing it. Examine, at the beginning of this season, what worked and what didn’t work, then let go of what didn’t work and look for new ways to find solutions. They are out there if you only let go. I hope with all my heart that you are on the road of recovery. I always felt the deepness of your soul from years ago with the poem on the napkin. Through the years, I have kept that poem until it was taken from me by the toxic mold in my condo. I never told you that story, but that has caused me more pain than my spine, The years of trying to get over losing everything in my physical life. I never gave up, no matter how sick I was. Somehow, God has given me the strength to go on and on and on. I remember throwing myself against the shower wall in my temporary home in a hotel, for God to give me the strength to get over this obstacle in life. He did little by little. So my friend, yes this is another chapter in our lives, but I know you have the strength to persavere. You take care of yourself, go slow and remember your family and friends are there to help.